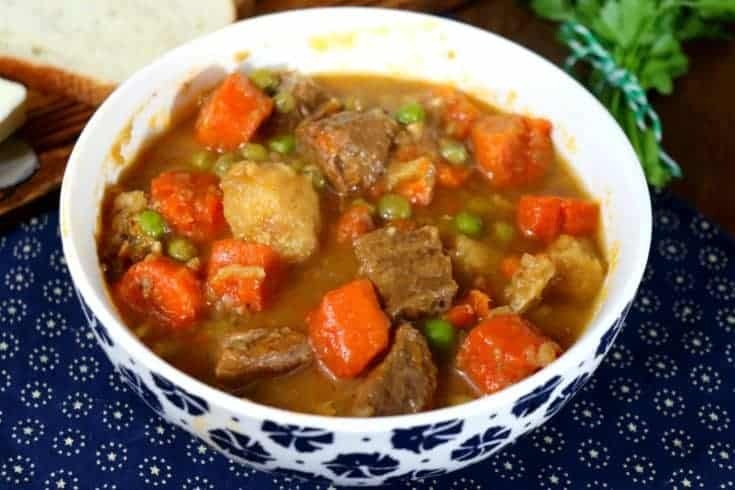 Beef Stew is one of my all time favourite recipes. 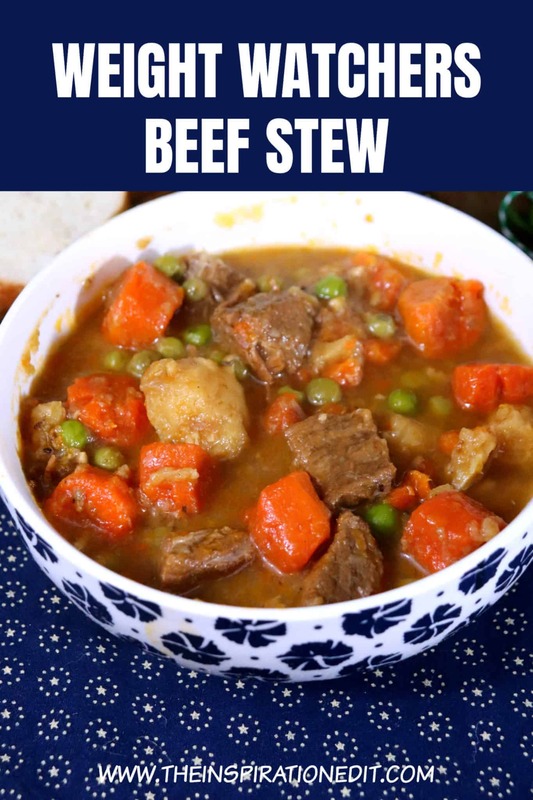 My mum has always made the best stew and last week we had Stew in the slow cooker. 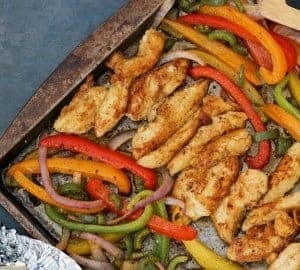 It was so tasty and I made double recipe so we could eat the meal over a few days. 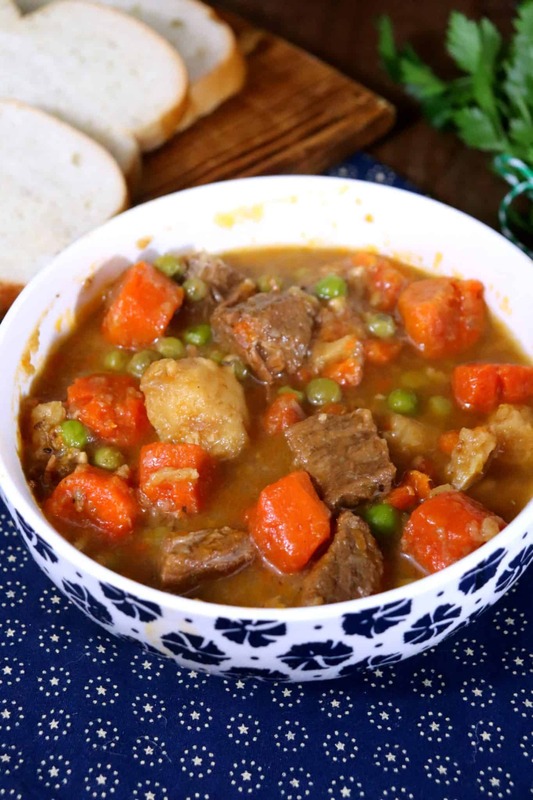 Today I am sharing this fantastic Slow Cooker Beef, Carrot & Parsnip Stew. It’s pointed for Weight Watchers. 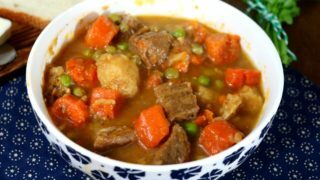 This Beef Stew recipe yields approximately four 1.5 cup servings, has approximately 260 calories per serving or 4 Weight Watchers points. 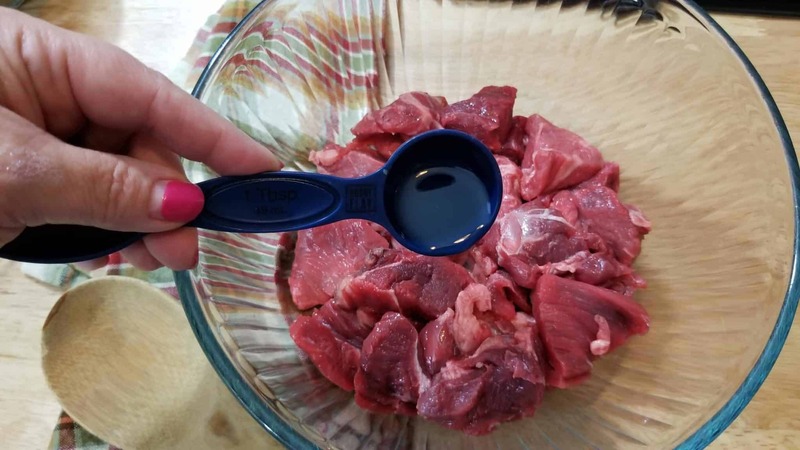 Add beef to a small bowl and add 1 tablespoon oil and mix with beef. 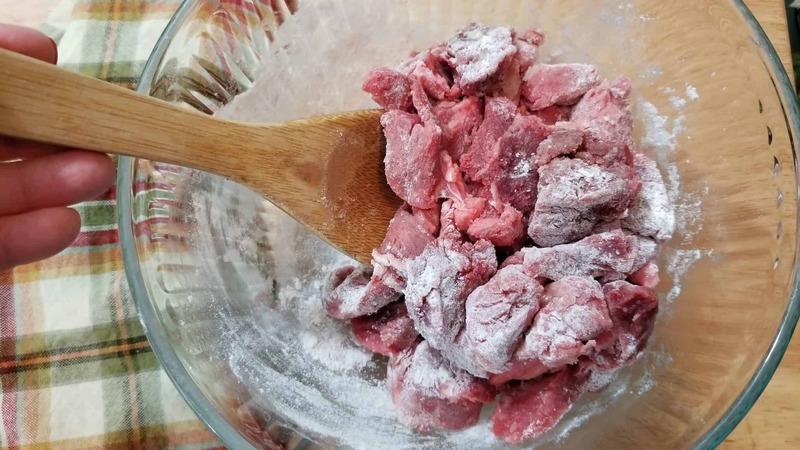 Add flour and salt and pepper and toss to coat beef. Heat remainder of olive oil in a large skillet. Add garlic and onion (this step is left out of the photos as we did not use onions) and cook 2 minutes or until garlic is fragrant. 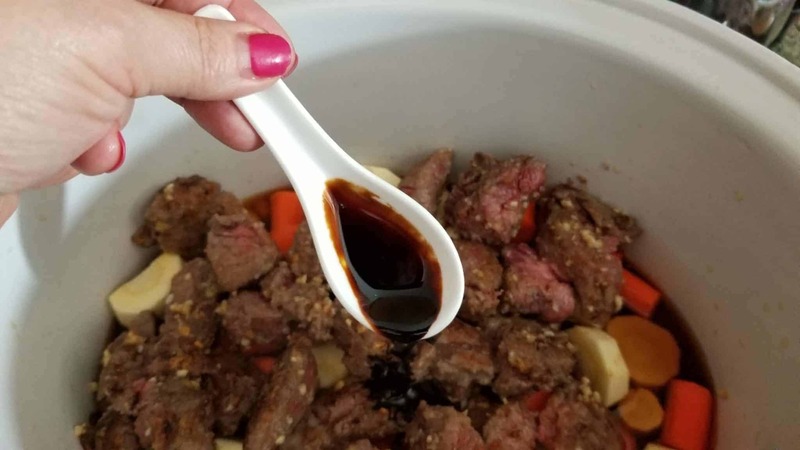 Add beef and brown for an additional 2 minutes, but do not cook all the way through. 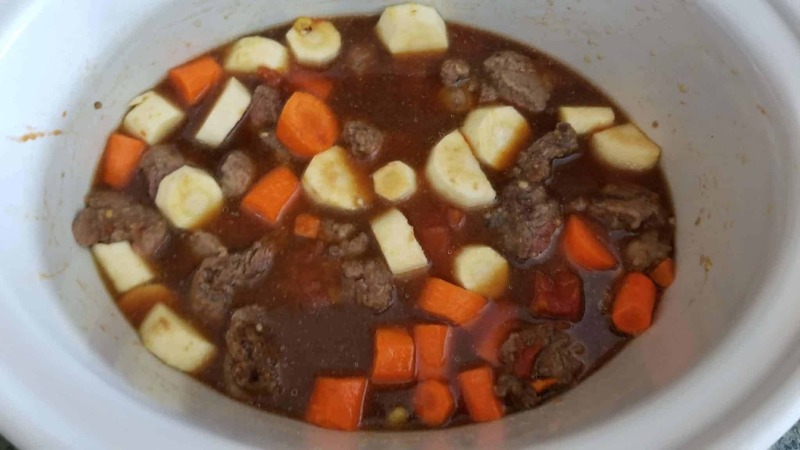 Steps 8-16: Add above ingredients to your slow cooker. 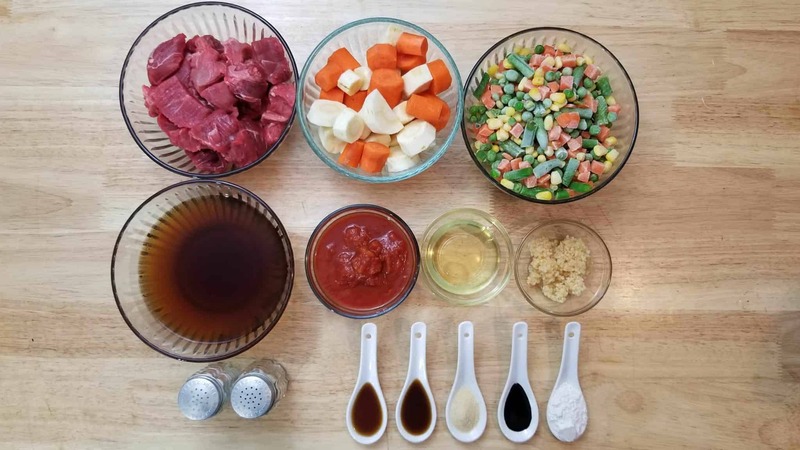 Add beef broth, soy and Worcestershire sauces, Kitchen Bouquet, onion powder, tomatoes, carrots, and parsnips. 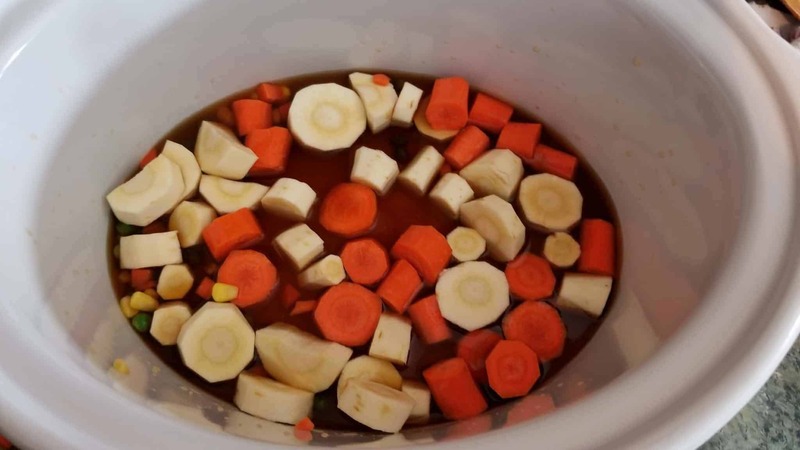 Turn slow cooker to high for 4.5 hours. 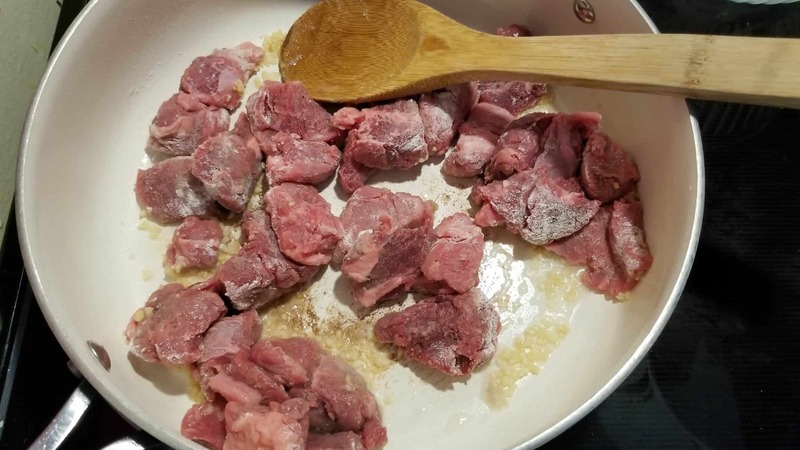 When timer goes off, check to make sure beef is tender. 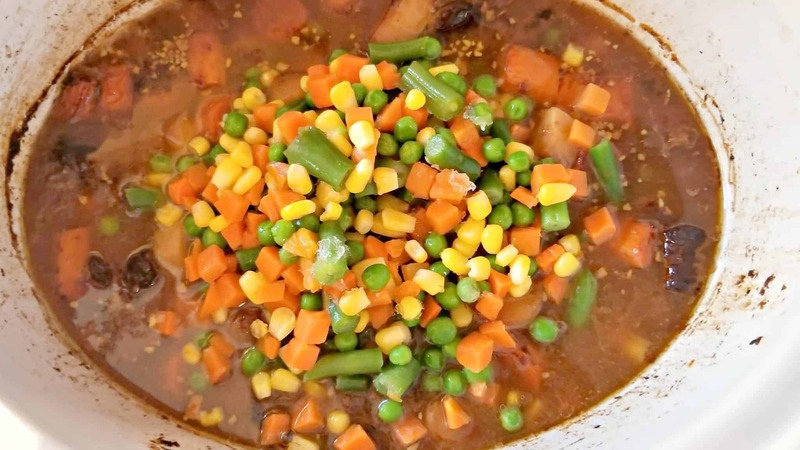 Add frozen vegetables and cook for another 30 minutes on high. 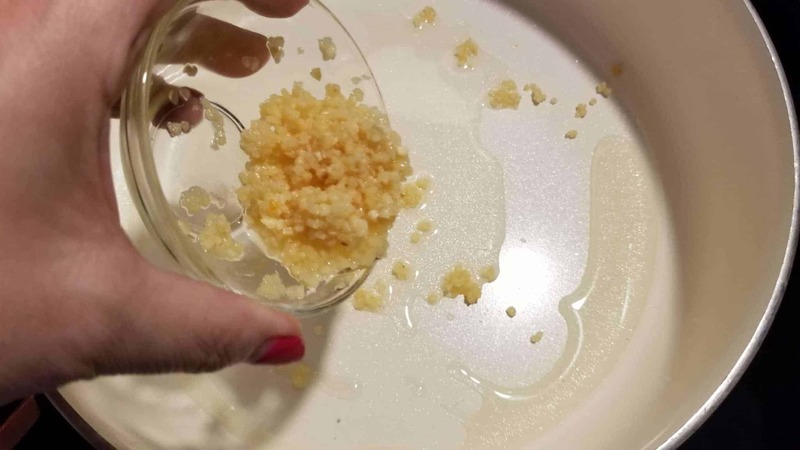 *My daughter does not like onions, so we used onion powder in this recipe. 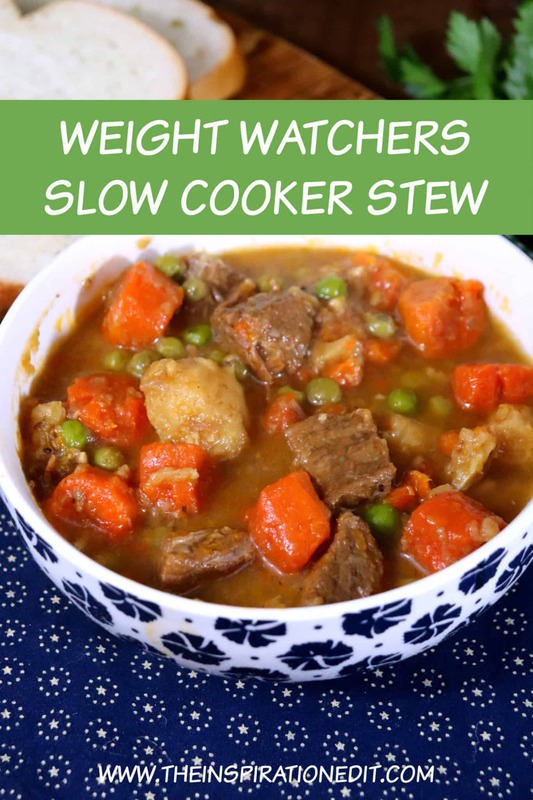 You can add Onions without adding any further Weight Watchers points. 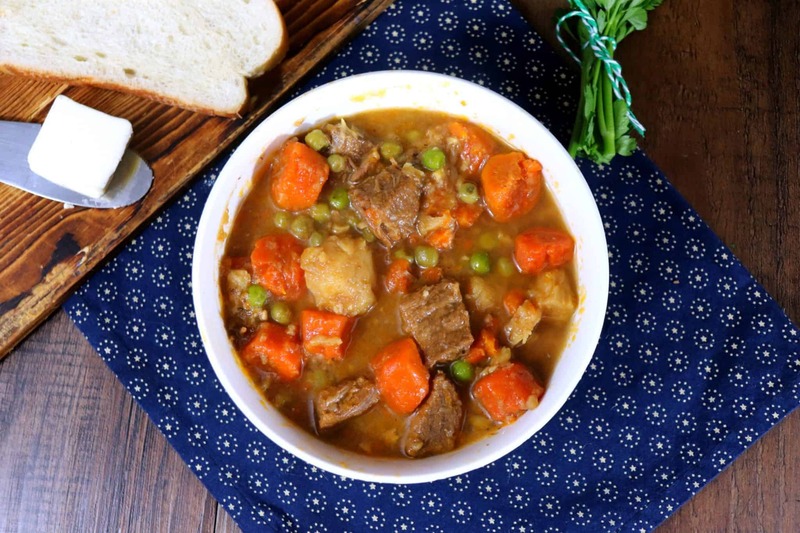 **A typical stew recipe calls for a small bag of frozen peas. We like to add the bag of frozen mixed vegetables for variety. This is optional. 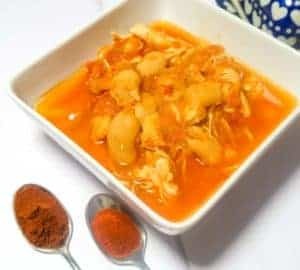 My daughter does not like onions, so we used onion powder in this recipe. You can add Onions without adding any further Weight Watchers points. ﻿A typical stew recipe calls for a small bag of frozen peas. We like to add the bag of frozen mixed vegetables for variety. This is optional. What does 1-2 pounds of beef mean? Is that 1/2 pound? 2 pounds? Since you’ve included WW points, I know it doesn’t mean 1 to 2 pounds. Thanks for your help.